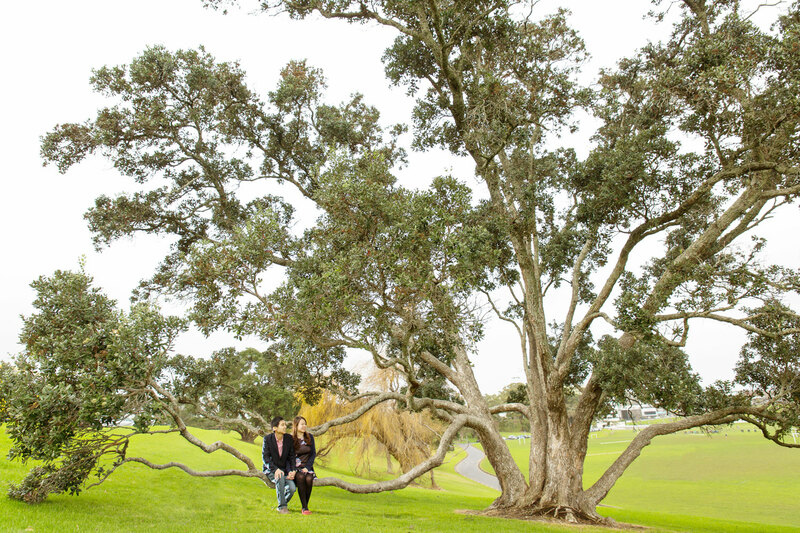 You can often tell how well a shoot will go judging by the amount of effort the couple puts in, and the effort was apparent when I met Kim and Qiqi at the Auckland Domain. 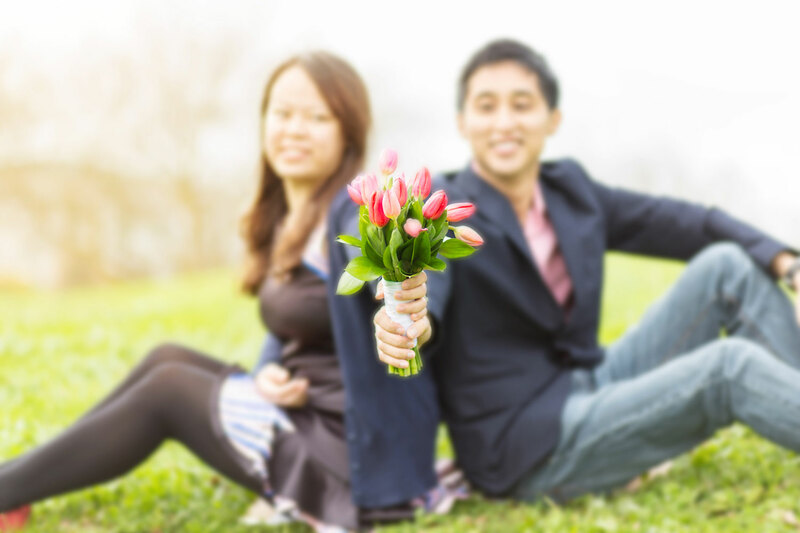 From the adorable flowers to their outfit (matching colours! 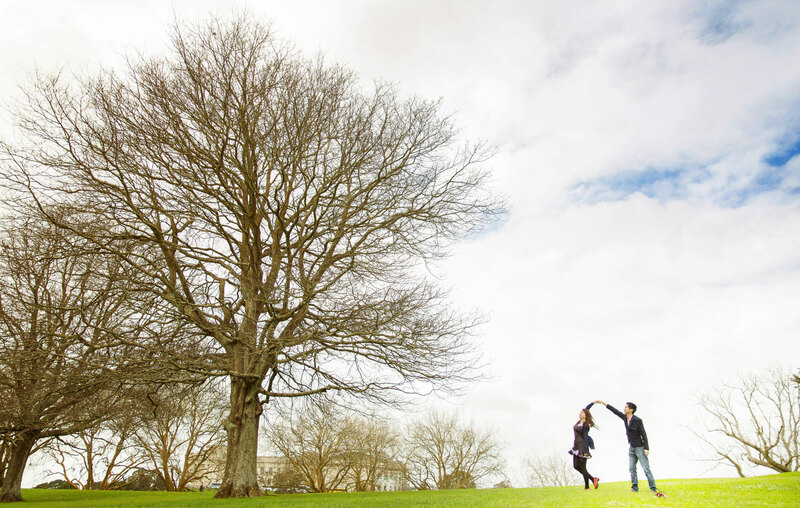 ), I could tell straight away that the couple had put some thought into preparing for the engagement session. We walked, we talked, we laughed and we took lots of photos making use of the environment.. all the while enjoying each other’s company! I definitely wish them a blessed marriage ahead and I’m sure their wedding back in Malaysia would be super amazing! “Lionel was amazing, from our first meeting until the big day he was on hand to answer any queries. What first struck us about Lionel was his genuineness. He was sincere and extremely easy to get along with. Taking a real interest in us and our story. On the big day Lionel was outstanding. He had asked us how we would like the day to go which for us was unobtrusive but there to capture all the movements of the day. Lionel worked tirelessly and he stayed way into the night. His pictures are fantastic and we couldn’t be happier with what he did for us!! 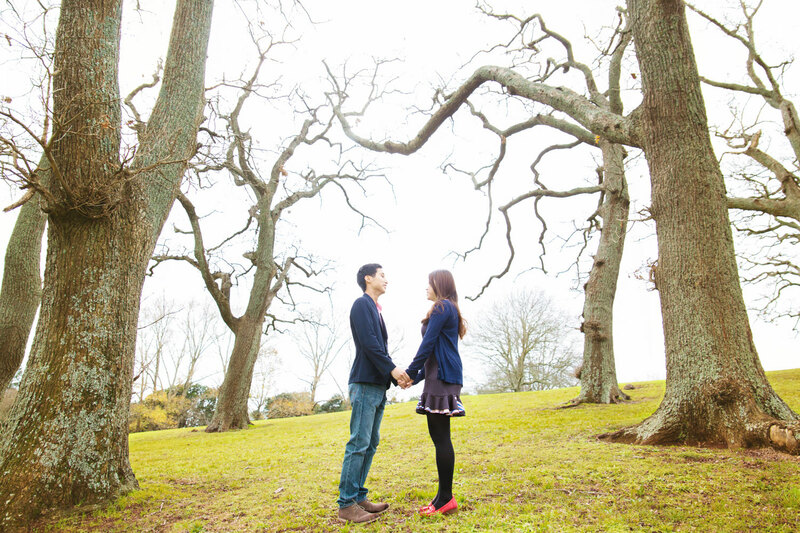 “Lionel shot both our engagement shoot and our wonderful wedding day. We were both quite nervous about having our wedding photos done so he suggested having the engagement shoot, I’m so glad we did it. It was good to have the practice and to know what to expect. Lionel put us at ease. Lionel was present for our wedding from very early morning up until it was dark and no more photos could be done. He captured the essence of the day, many friends and family have commented that our photos show how much we love one another! He got some great shots with our very active young son too, which I was extremely excited about. We also received so many photos to choose from and look back on.